The mPower Solar Generator provides mobile and clean power anytime, anywhere. The mPower Solar Generator is all-in-one, with two Solar panels, plus battery, plus inverter, to allow you to have AC and DC power anytime, anywhere. The solar panels charge the battery during the day and the battery delivers electricity day and night. The following day, the panels recharge the battery, restarting the process. We’re honored to have been selected as a 2016 FiReStarter by Future In Review. Learn more about it here. Future In Review is “the best technology conference in the world“. 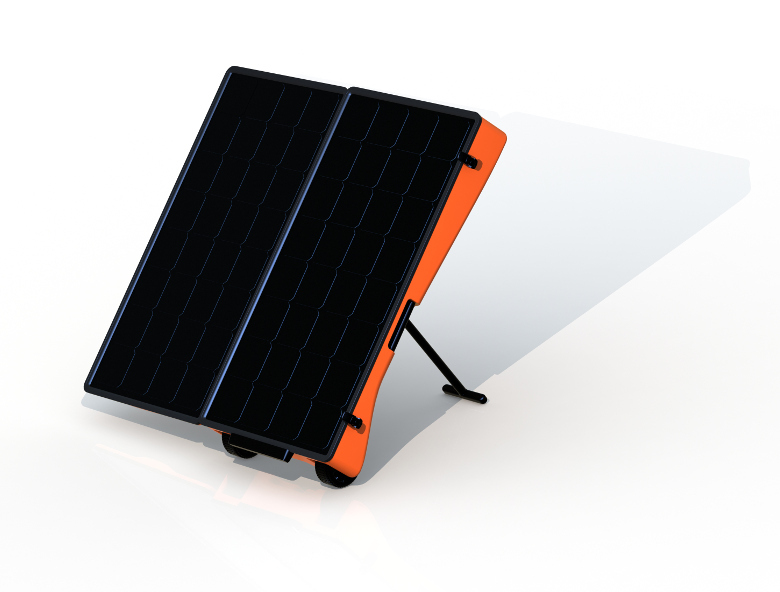 The mPower is the world’s lightest and most powerful Solar Generator. The all-in-one mPower Solar Generator is easy to carry, easy to set up and easy to use. to the people without it. We believe every adult and child in the world should have access to electricity. One billion people in developing countries don’t have access to electricity. Access to electricity is essential to a family’s health, safety, education, economic progress and quality of life. 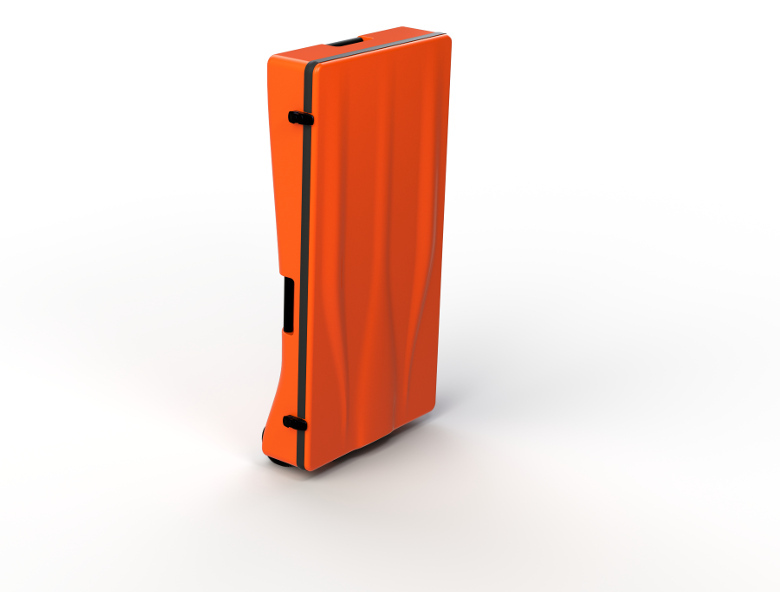 by supporting our Indiegogo campaign. 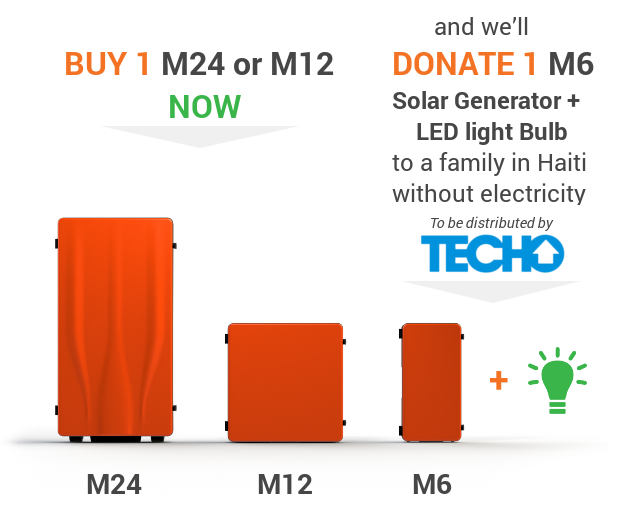 Buy one mPower Solar Generator and we’ll donate one, in your name, to a family without electricity through our partnership with TECHO.org in Haiti. Make a small or large contribution to help us achieve our Indiegogo campaign goals. 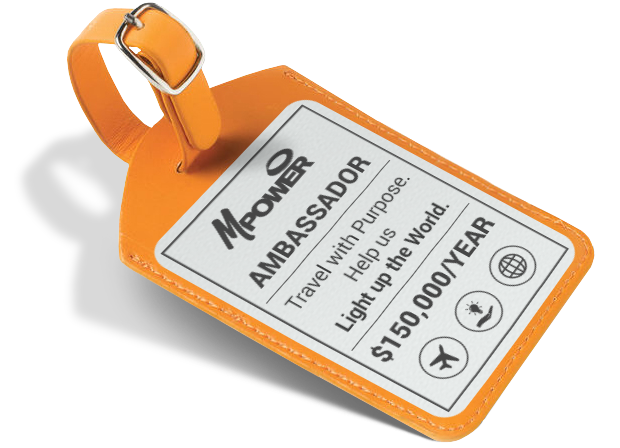 Become the mPower Ambassador by entering the #LightUptheWorld global challenge. Earn US$150,000 for one year. Take a quick moment to spread the word about this campaign now. It’s the easiest and quickest way you can support us. Use your favorite social network below to get started. TECHO (roof in Spanish) is a youth led non-profit organization present in Latin America & the Caribbean. Through the joint work of families living in extreme poverty with youth volunteers, TECHO seeks to overcome poverty in slums. Techo is helping us distribute much needed electricity to some of the less privileged parts of the world. Proud members of the Energy Access Practitioner Network. A United Nations’ Sustainable Energy for All initiative, which aims to bring energy access to the 1.1 billion people around the world who still lack it. 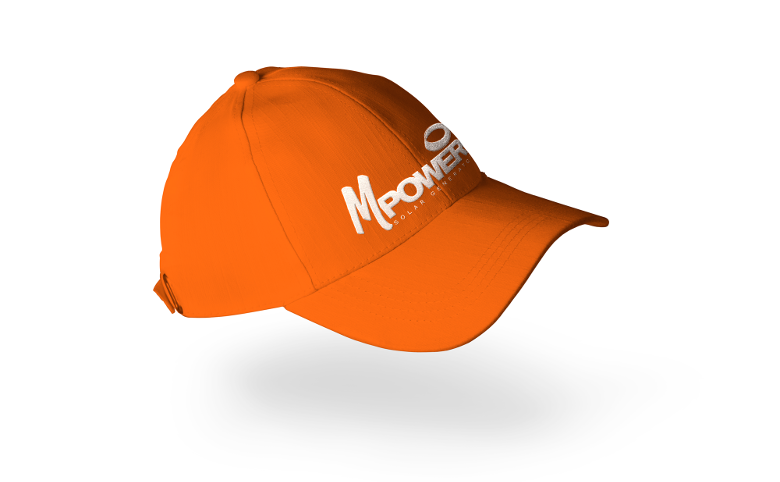 Keep up to date on the progress of mPower.